These are from our annual exhibition. the two men in our group have still not given me their freedback, so I am now publishing them without the artist's comments! Akane Teshigahara has been called the rock star of ikebana, the Japanese floral art which is said to bring together nature and humanity. Here, she talks to us ahead of her new installation to mark HM Queen Sirikit's birthday (Aug 2-13). How did you first get into ikebana? When I was six years old, I began learning under my aunt, Kasumi Teshigahara, who was the second generation iemoto (headmaster) of the Sogetsu school of floral art. And I've continued to learn ever since. 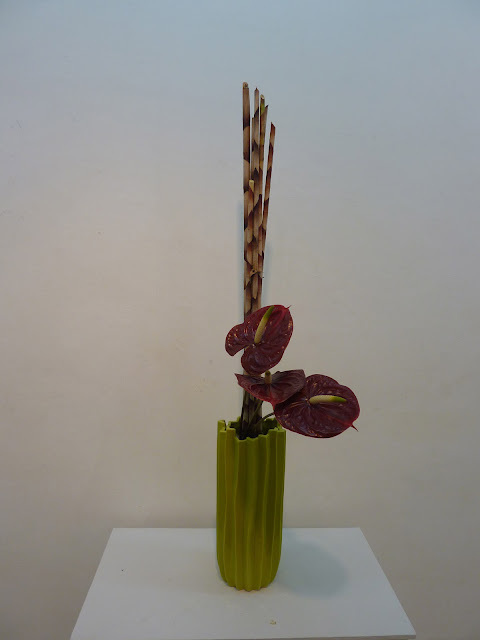 What is the core concept of ikebana? At the heart of ikebana is an expression of peace and serenity through the life power which is hidden inside plants. It is my wish to send good spirits, smiles, and joy through ikebana. 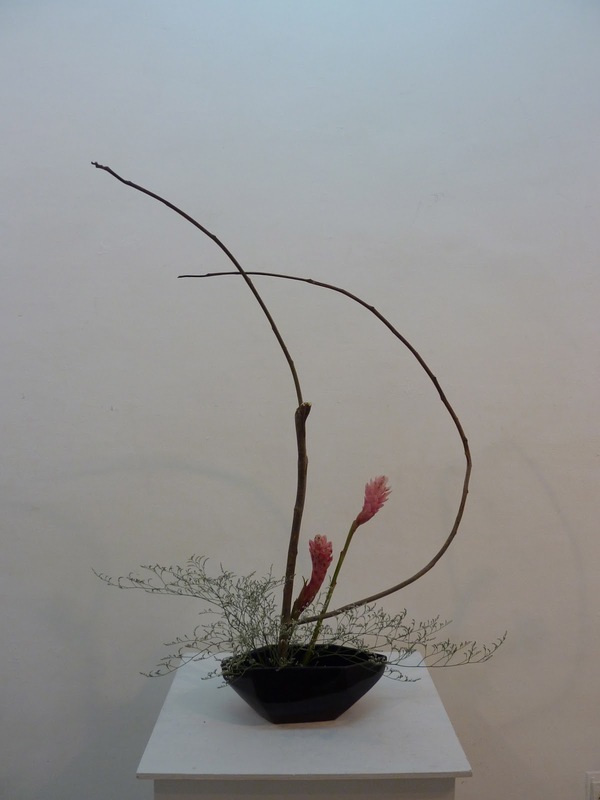 Do you have any tips on how to appreciate ikebana? There are no rules for appreciating ikebana. There is no prejudice or judgment in appreciation. Through ikebana, though, the emotions and feelings of the floral artist are reflected quite directly. Even when the same plant is used, it can be represented in many ways according to the artist's essence. Personally, I would encourage you to simply enjoy the variety of expression. 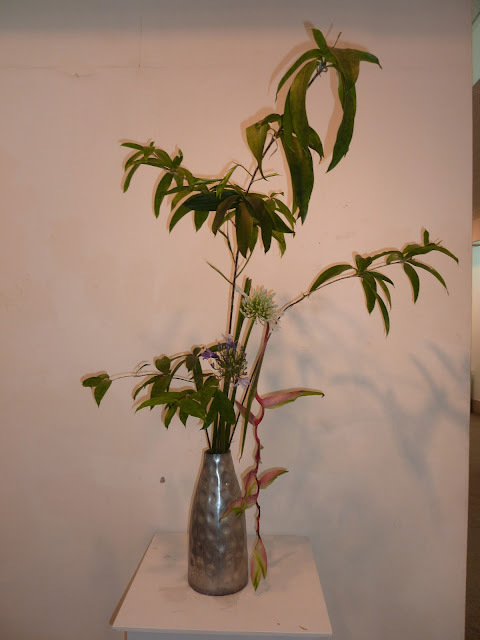 I believe the art of ikebana is born from the environment and space in which it's made. So, I try to put myself in the place as much as possible, to be conscious of the presence of humans, air and light, and I transfuse that into my work. I tend not to verbalize my work too much. I think different people might perceive it in different ways. Can you tell us more about this new floral installation at The Emporium? Bamboo, which I use as the main material for this installation, possesses a very strong life force. In Japan, it is used for auspicious occasions. It also has the potential for a wide variety of expressions. Strength, delicacy, elegance, and dynamism—these are exactly the same traits as the mother of the Thai Kingdom, HM Queen Sirikit. In Japan's winter, the bamboo stands without breaking or splitting under the weight of deep snow. It stands strong with the coming of spring, too. My grandfather Sofu Teshigahara, who pioneered the Sogetsu art school, said, "Ikebana is the art of peace." I think that in ikebana there is a power potent enough to blur religions and borders, and convey a peaceful feeling to people all around the world. 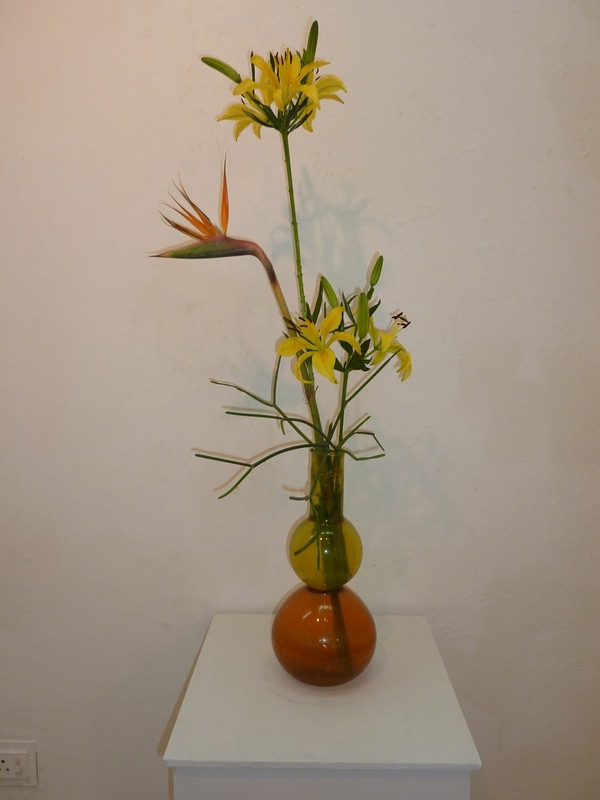 I wish to continue in ikebana, for any chance that it might lift the suffering of people. The Chennai Study group got together after the summer, with joyous hugs and raised voices! Many of us had not seen each other for a coulpe of months. Pushkala, our member from the academic world, regaled us with her experiences on her first trip to Europe, where she picked up these beautiful vases, which you see below. Sensei Vaishali then demonstrated in one of the vases, showing how a crack can be skillfully hidden. The last item on the agenda was the awarding of teacher's certificate to Dalley. Pushkala talks about her trip and the tulips! The dramtic effect of adding the wire! Dalley will give her firat demonstration as a teacher, sometime over the next couple of months. The ladies are all set to go to Delhi to take part in the Delhi chapter's annual show in September.